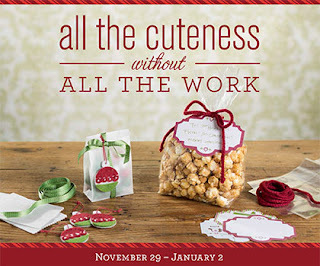 Looking for cute ways to package little treats and gifts for co-workers, teachers, neighbors, and friends? Holiday packaging bundles are an affordable and adorable solution. Simply add a treat or gift and assemble. 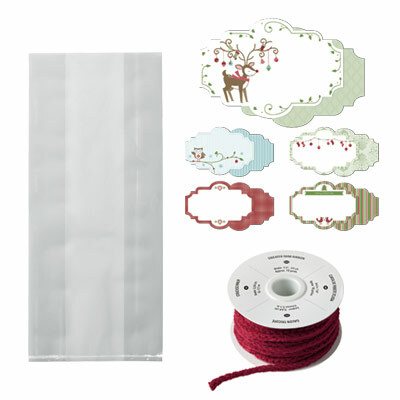 The Trimmings & Tags Bundle includes Gusseted Cellophane Bags (25 bags; 5" x 3" x 11-1/2"), Snow Festival Designer Printed Tags (25 double-sided tags; 4-1/2" x 3-1/8"), and Cherry Cobbler 1/4" Sweater Trim (10 yards)--buy as a bundle and save 20%. Regularly $16.85, you can get it on sale for $13.50. Go to my online store now! 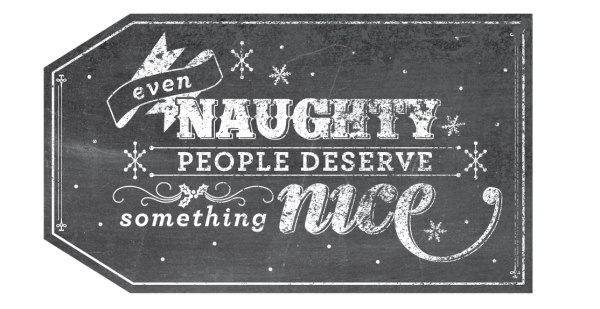 And while you're there, get this free digital download too.